W Goa - The Best Luxury Beach Resort in Goa. W Goa draws inspiration from the state’s rich history as a mecca for the alternative, one steeped in a vibrant culture that includes an influx of visitors from hippies in search of paradise, New Age devotees, purveyors of psytrance and yogaphiles from around the globe. W Goa captures the rustic and dramatic landscape of Goa as well as its cosmopolitan, multi-cultural vibe, injecting Vagator with the exuberant spirit uniquely known to W Hotels. W Goa offers 109 stylish and spacious guestrooms and villas discreetly spread out across the private coastal setting with breathtaking views of the sea. Relish Insider access to the hip local culture of Goa with annual local festivals and street parties to further amplify the vibrant scene. Kick back on the WET® Deck or at the Rock Pool to catch that holiday sun-kissed body. 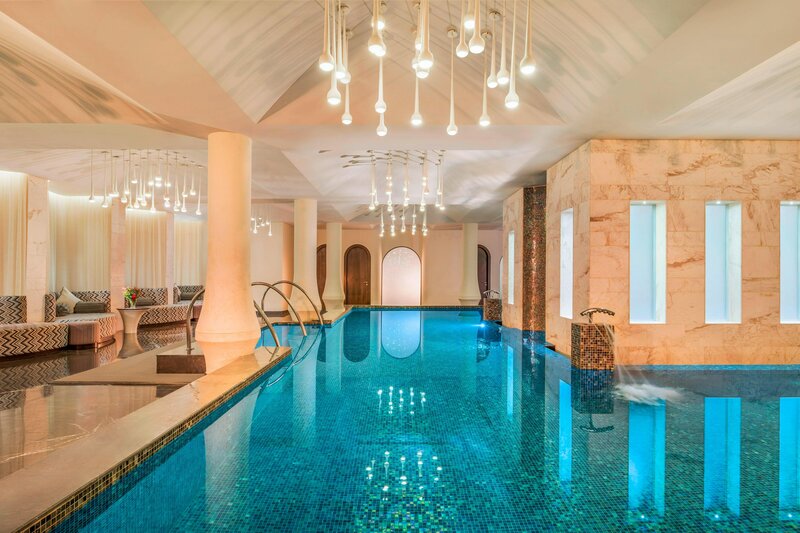 Four dining venues fuel the fun, while FIT and the indulgent SPA by CLARINS reboot your body. We invite you to live it up and take it easy. Stop by the Rock Pool Bar for pioneering food, invigorating cocktails and unforgettable vistas. Presenting panoramas of the Arabian Sea, Vagator Beach and Chapora Fort, with its dramatic red cliffs, this spectacular venue welcomes you to while the day away, admire an unbelievable sunset and celebrate after hours. 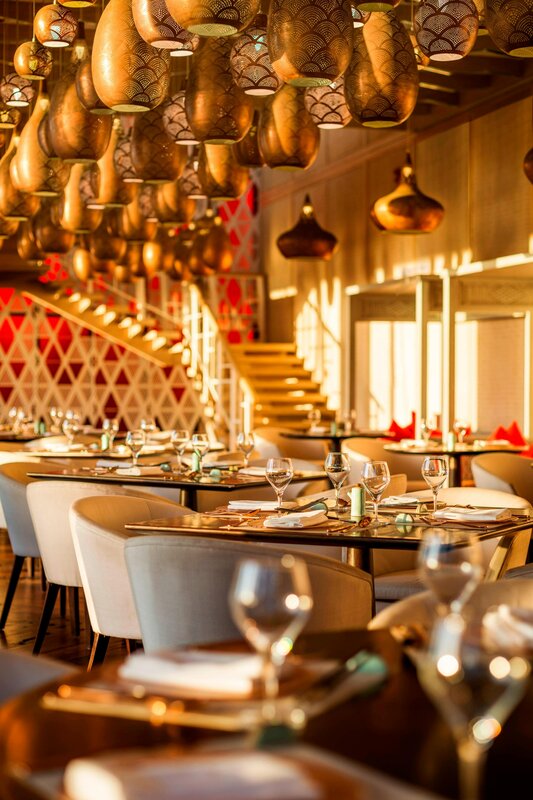 Cheers to an unforgettable meal at Spice Traders, where a vibrant cultured scene amplifies gourmet Pan-Asian dishes. 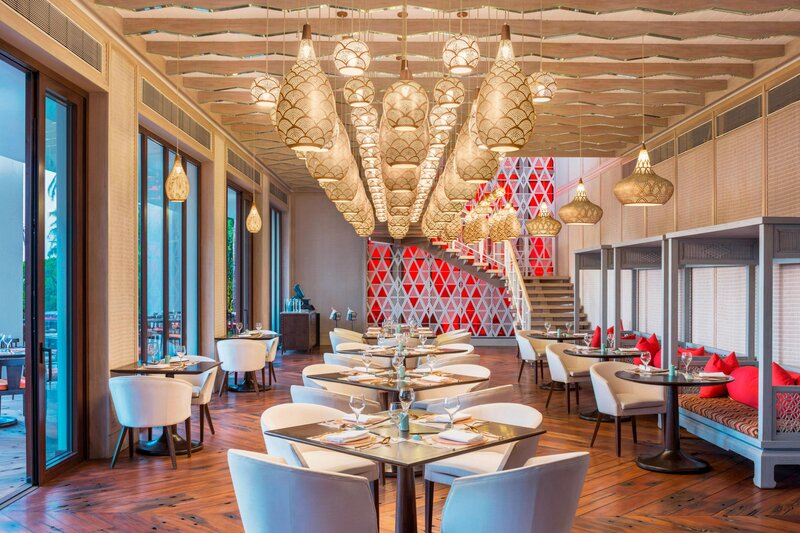 Overlooking tropical resort grounds and the Arabian Sea, the two-story restaurant showcases indoor dining rooms and an open-air rooftop terrace and lounge. 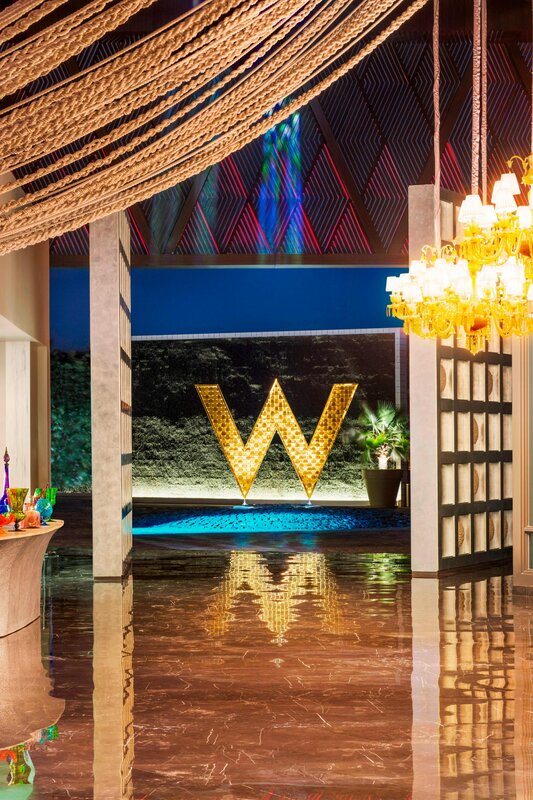 Sip and snack, mix and mingle at WOOBAR, the resort’s epicenter of cocktail and party culture. 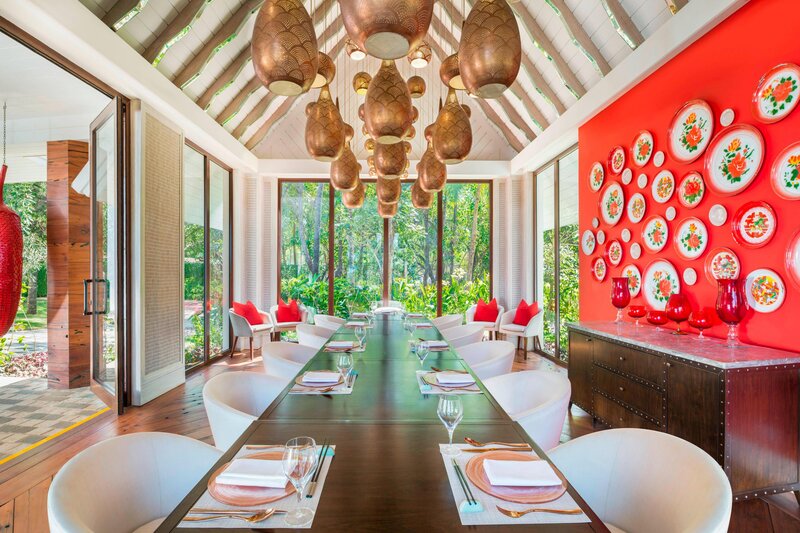 The pulsating bar nods to its surroundings with eclectic décor that reinterprets Goan fishing heritage. Mix, mingle, meet, lounge, sip and savour in the comfort of our Living Room. Read a novel in the natural light or Sip on a few signatory cocktails from the Woobar. Get away from the hustle, stretch out on deckchairs and have a quick snooze or catch that tan you have always wanted at our 24-meter by 7.5-meter outdoor WET® pool. 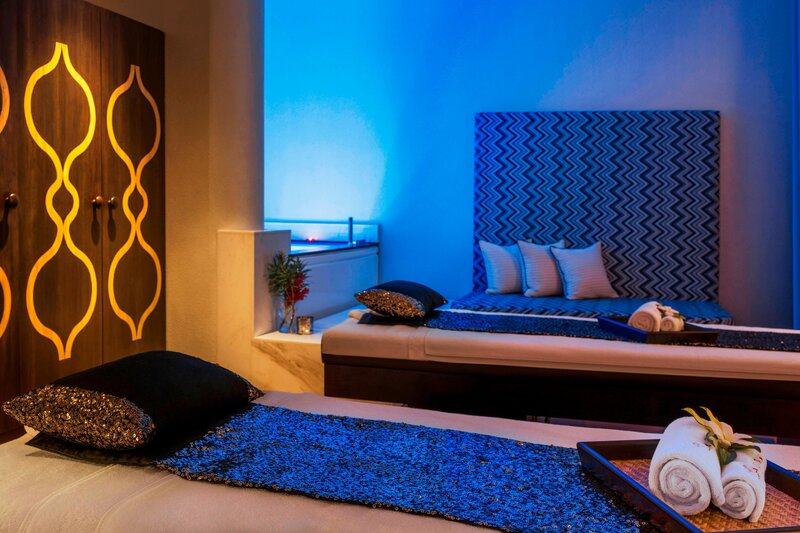 Get energized and FUEL Your Body at FIT® or FUEL Your Glow at Spa by Clarins. 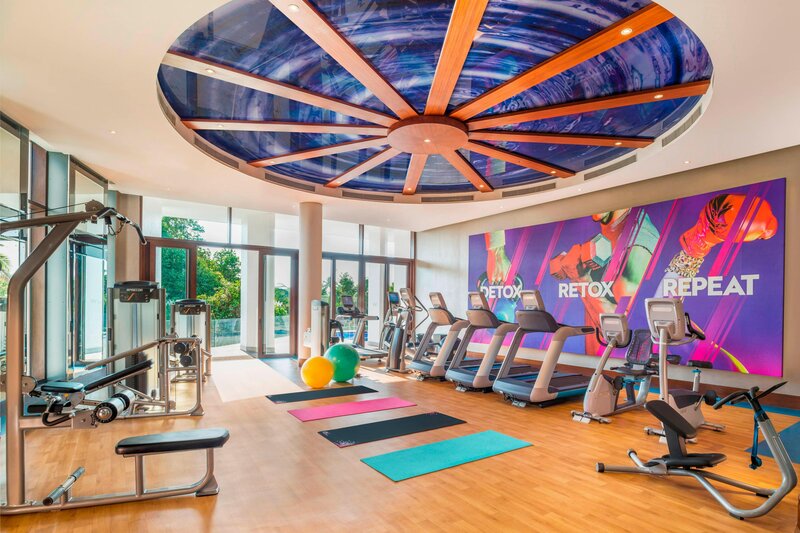 Our intimate and innovative fitness center features advanced training equipment including Precor treadmill, stationary bike, cross-trainer, and multi-station strengthening machines and weights. An Escape within an escape just a step away, SPA by CLARINS is an access to Fuel your Glow from the everyday routine. Leading to an insider scene of surprising sensations where you can delightfully detox after the after-party at SPA by CLARINS. W Goa has a strong design story with art incorporated throughout the escape, including iconic installations by famous Goan artist Subodh Kerkar at various spots in the hotel. Elements of Goa are incorporated into the design of the hotel - keeping it fresh, alive and vibrant.